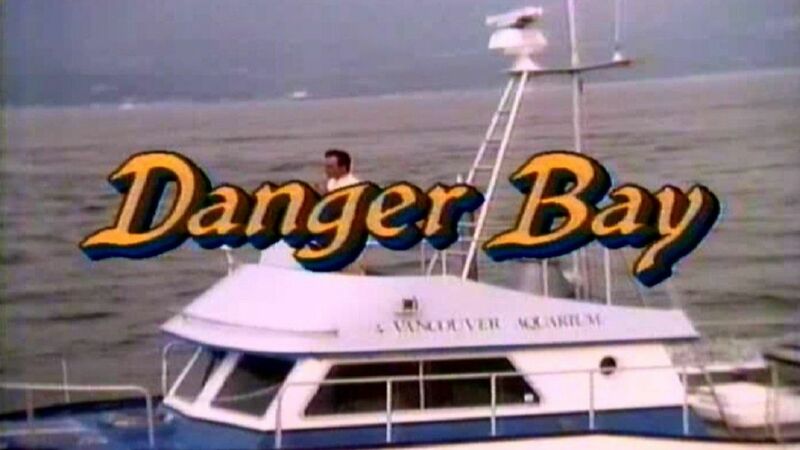 Here's where to watch every episode of Danger Bay season 3. Mouseover or tap an episode to see where to stream it. Click or tap the play icon to stream it on the best available service. Solo Flight Oct 15, 1986 A routine plane trip to gather some endangered fish ends in near tragedy when Nicole and Jonah's pilot has a heart attack in flight. Nicole must land the plane with help from J.L. and Grant via radio. Lady Raven Oct 29, 1986 Grant, Nicole, and ornithologist Jeff Storey head to Raven Island to determine the extent of a viral outbreak. There they encounter a reclusive artist bent on remaining alone. The Ultimate Gift Nov 5, 1986 Grant must juggle his responsibilities at the Aquarium caring for a soon-to-be orphan otter pup with his fledgling relationship with J.L. The frosty disposition of his new assistant adds to the mix. Thursday's Child Nov 12, 1986 After Grant and J.L. find a young South American girl hiding in the Aquarium's Amazon exhibit, J.L. decides to become the girl's guardian and must quickly adapt to motherhood. The Vigilantes Nov 19, 1986 Jonah & his friends decide to take action into their own hands when their favourite forest is threatened by the logging industry. Grant is forced to confront the fact his son is growing up and has a will of his own. The Lion Sleeps Tonight Nov 26, 1986 A wayward wildcat terrorizes Vancouver and the Roberts & Co. do their best to return the creature to the wild before amateur hunters can get to him. Meanwhile Donna must decide whether or not to leave the Aquarium and accompany her husband to Ottawa. Million Dollar Whale Song Dec 3, 1986 Jonah can't wait to get to know Jean-Paul, a friend of Grant's who has come to visit and has a sports car! While Grant works on a machine which might be able to re-create the songs of whales, Jonah learns that appearances can be deceiving. Eye of the Storm Dec 24, 1986 A storm hits Danger Day and Nicole finds herself home alone. During the storm a boy turns up on her doorstep. He has runaway from home and Nicole must help him to see that runawaying doesn't solve problems, before the storm ends and its too late. Old Friends Jan 14, 1987 A man working at a circus helps an old female seal to the Aquarium hoping that she can live in peace, in return he takes a younger seal. Grant and Nicole are able to find the seal and kidnapper by an electronic tracking device and decide to take pity on the old man and do something for him. Big Horns Jan 21, 1987 Grant learns to let Jonah work through his own problems now that he is getting older. Time Out Feb 4, 1987 Grant receives some upsetting news when he learns that a friend who lived in Africa has disappeared. It troubles him to the point where he considers going to Kenya. His children don't want to go and J. L. can't seem to get through to Grant, which leaves it to two boys who Grant meets on the beach. All the King's Horses Feb 11, 1987 Nicole goes away for the weekend to visit her friend Heather, J. L. accidently finds out that Heather's father is David Cormier, an old flame of hers from the past. Grant, finding out all this, insists that J. L. tags along, only she starts to fall for David again which doesn't please Nicole. The Otters Return Feb 18, 1987 Grant gets concerned when the otter's appear to have disappeared from the bay. He sets out in the boat with Jonah and Doug to try and find out what has happened to them. A Man of Few Words Mar 4, 1987 A young man who has just been employeed at the Aquarium can't read or write. When Nicole finds this out she seeks to help him learn before it to loses him his job. Signs of Growth Mar 11, 1987 Billy tries to teach a young boy sign language so he can communicate with a chimpanzee. But when an evening of fun ends up in lots of misunderstanding between the boy, Tracy and Nicole. Friend Ship Mar 25, 1987 Suspicions are very where, but especially focused on Nicole's new friend Tracy who has a bit of a bad reputation. Superfish Apr 1, 1987 While Jonah and Grant are out fishing they start getting bites from big fish. Earlier in the day they had been joking with George over the very same thing. But when more and more oversized fish are found, Grant realises that someone must be genetically changing the salmon's size and must stop it before the food runs out and species die out. Sylvan Shores Apr 8, 1987 George & the Roberts family go away for the weekend after George's friend invites them to stay at the island resort ""Sylvan Shores."" When they find the resort on the verge of closure, they each pitch in to keep it running long enough to impress some visiting investors.